The following is a Badger fossil that i am posting in response to fellow blogging friend Running Elk’s request, after i made a comment in his blog on Badgers (http://shamanicpath.wordpress.com/2014/03/19/spirit-of-badger/). This is a fossil i’ve had for quite some time. 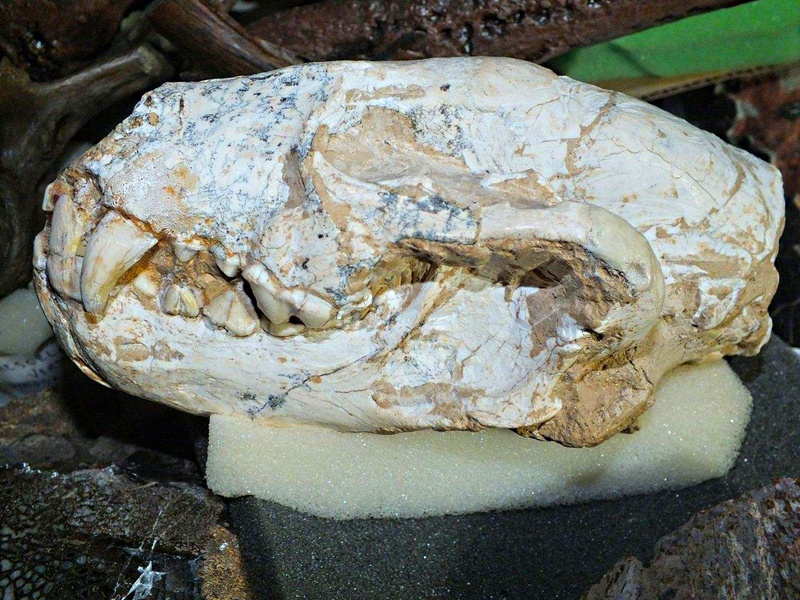 It’s a fossil Badger from the Miocene Period (around 12 million years old) from the Gansu Province, China. Badgers are very tidy, orderly, well-groomed animals and keep their deep burrows and bedding scrupulously clean. They sometimes team up with Coyotes to hunt. What the Coyotes can’t catch, because the prey scurry into holes… the Badgers dig up. What the Badgers can’t catch, because they can’t sprint fast, the Coyotes capture. People ought to, instead of being so competitive, be more cooperative. Additionally: Most Badgers understand that going deep is prudent; i wish a lot more of those (humans) satisfied with the superficial – instead of just getting upset about petty details, though making a mess of their lives while neglecting the whole – would be more orderly and go deeper!